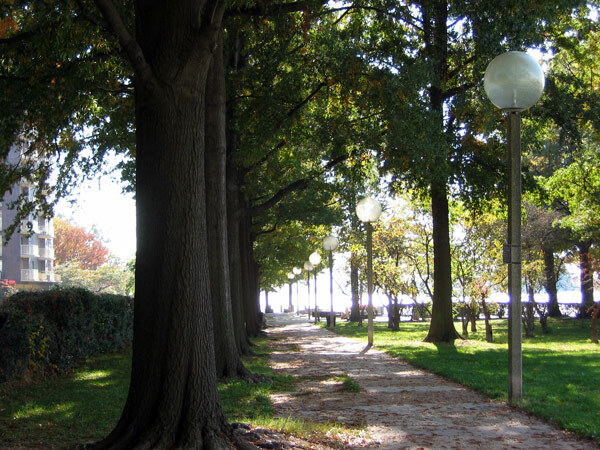 Established as part of urban renewal efforts in Southwest Washington, D.C. in the 1950s, Waterfront Park is a one-block wide strip of land situated between the Washington Channel and Water Street. 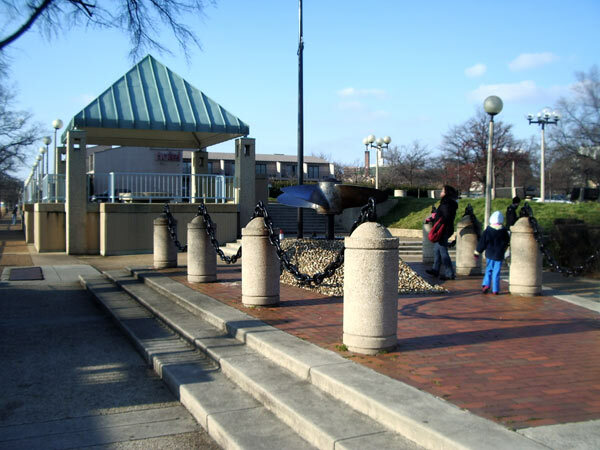 Designed by Hideo Sasaki, Don Olson and Philip Minervino from Sasaki Walker and Associates between 1968 and 1972, the area was conceived as a mix of open space and commercial development. 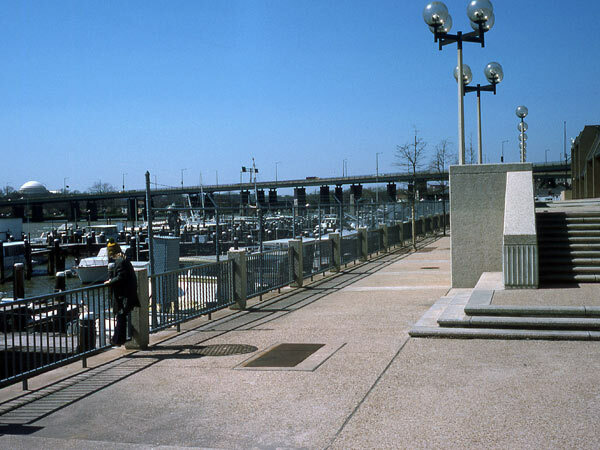 Vehicular traffic formerly on the waterfront road was diverted to newly-widened Water Street, leaving four blocks of open space reserved for pedestrian access. 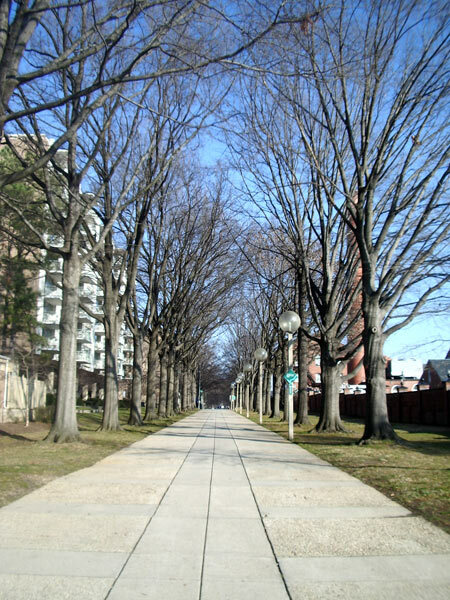 Smaller perpendicular cross streets were also converted in the block approaching the channel, changed to pedestrian walkways lined with trees and benches and edged with red brick. 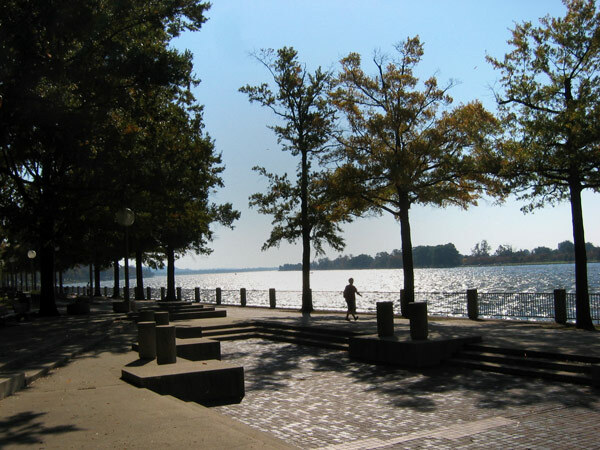 The firm designed four small parks along the waterfront punctuated between new restaurants and hotels. 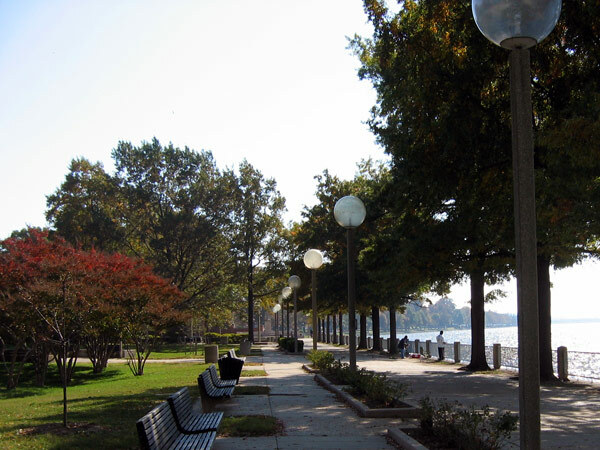 These parks, generally square and sited where cross streets meet the water, are each centered on a naval artifact borrowed from U.S. Navy storage and surrounded by modest plantings and benches. 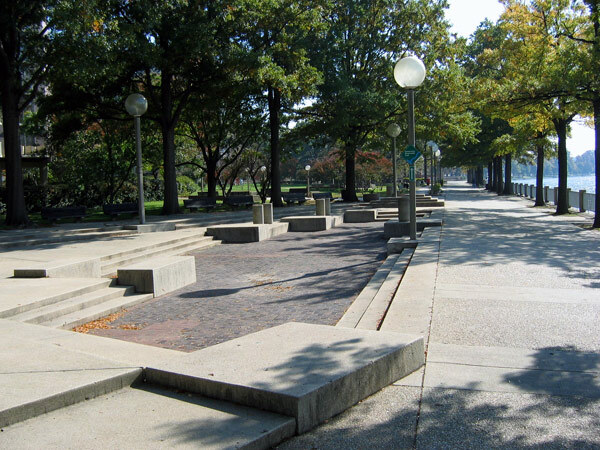 At the south end of the waterfront between new apartment buildings and the water, Sasaki designed the long narrow space with two triangular sunken seating areas, paved with dark brown brick and surrounded with low walls and benches. 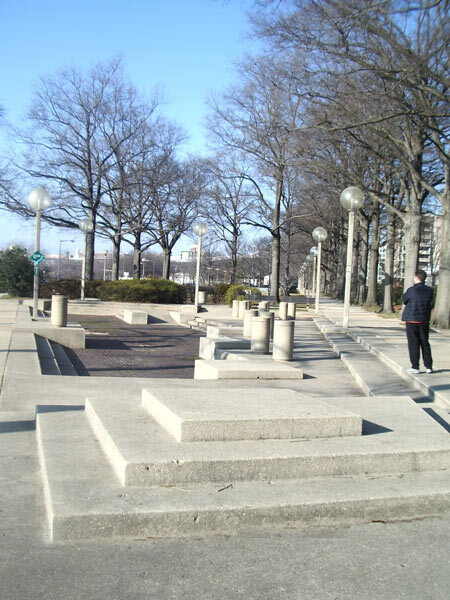 At the southernmost tip of the park, where the waterfront meets the wall of Fort Leslie J. McNair and then turns eastward, the National Park Service installed the Titanic Memorial statue, relocated from an inaccessible position beside Interstate 395 near the Lincoln Memorial.